Bringing all golfers! Ready for some ideal outdoor relaxation? 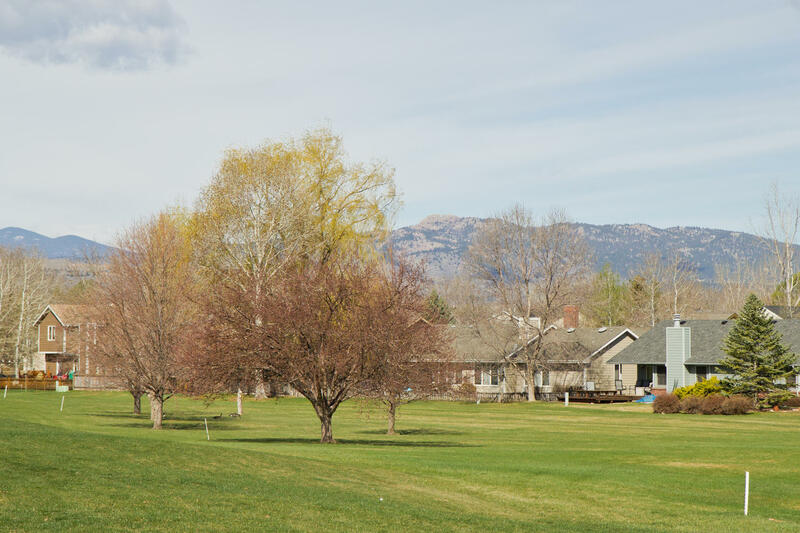 This beautifully cared for open ranch layout in Oakridge (central/south Fort Collins) will steal your heart away backing to the 5th fairway at Southridge Greens Golf Course! It’s all about lifestyle at nearly 400 sqft. 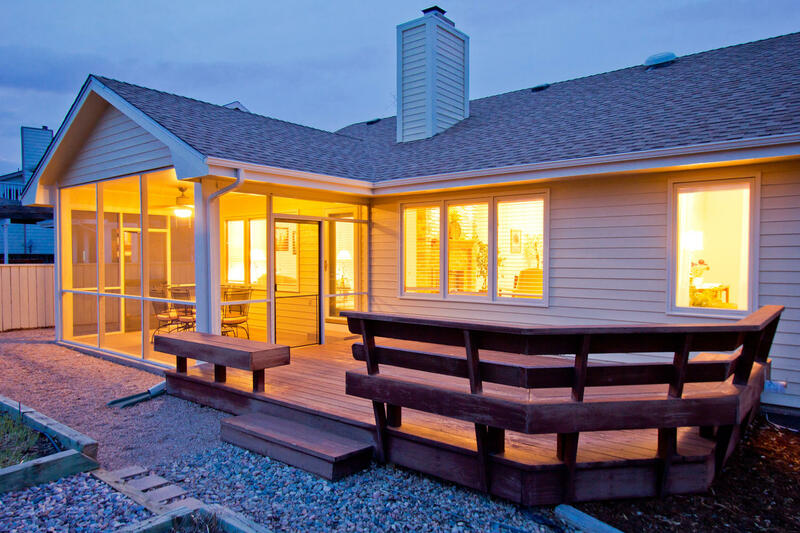 total of outdoor living space between the spacious redwood deck with built-in seating the screened in patio area – perfect for summer BBQs, as you gaze west to take in the captivating Front Range Mountain Views! With 4 Bedrooms and 3 Bathrooms, and nearly 2,500 finished square feet this easy flowing layout is comfortable and yet practical with soaring vaulted ceilings in the living and family room and oversized brick dual sided gas fireplace. 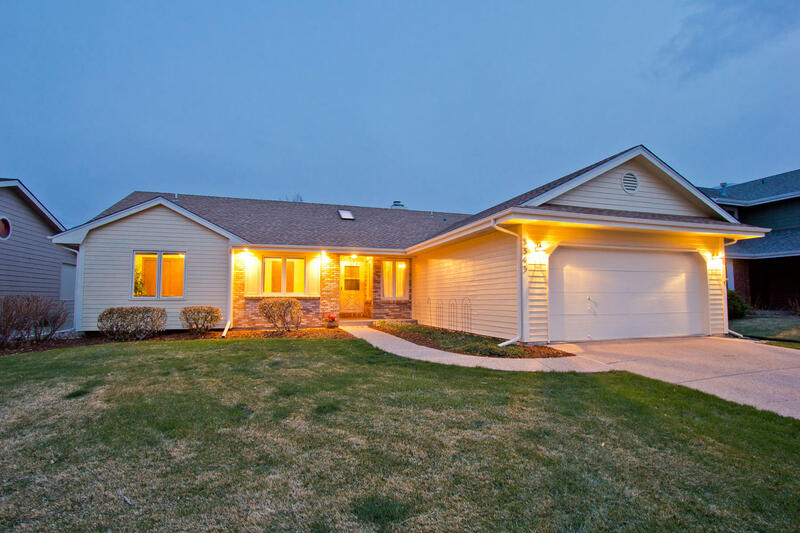 Built in 1987 this home offers some beautiful updating with newer carpet, roofing, appliances, low-flow toilets, central A/C, and exterior paint as well as brand new countertops in the kitchen and main floor secondary bathroom! Well cared for established landscaping in the front and backyards – fully irrigated – low maintenance backyard – a gardener’s delight! Spacious 2 car garage and service door, chopped customized gravel walk-way and driveway, hardwood flooring – and all appliances included – this beauty is move in ready with a beautiful abundance of natural daylight throughout! Hop right on the course and play through your best game! MLS # 733388 $354,900. Hurry for your showing today nestled in the ideal location in popular Oakridge! !